​"The Four-Way Test" of the things we think, say or do." 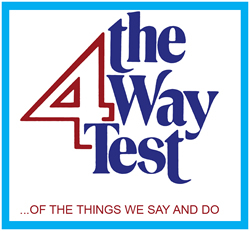 The Four-Way Test of the things we think, say or do is a test used by Rotarians world-wide as a moral code for personal and business relationships. The test can be applied to almost any aspect of life. The test was scripted by Herbert J. Taylor an American from Chicago as he set out to save the Club Aluminum Products Distribution Company from bankruptcy. It was later adopted by Rotary International. Pride of Workmanship, as a concept, was instigated at the District 268 (now 9685) Assembly in 1975. 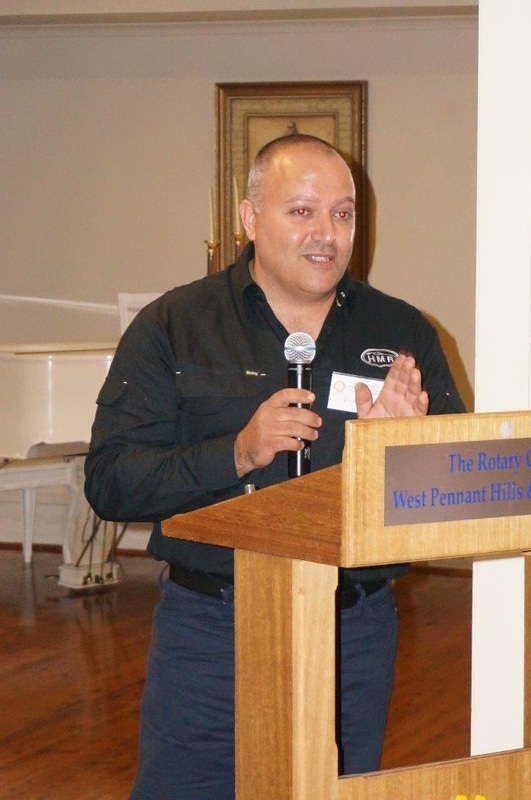 At that Assembly, 43 incoming Vocational Service Directors attended a group discussion meeting where it was suggested that something should be organised that would encourage more pride by Australians in their vocations. 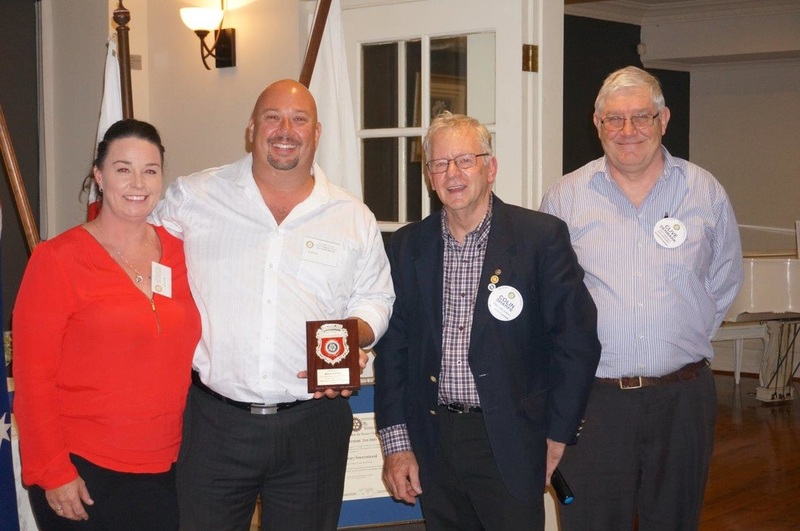 In May 2016 the Club presented its annual Pride of Workmanship Awards. These awards are presented to deserving employees, or business owners, who exemplify the above theme. Colin Baxter introduced Rita and the Director of the Wesley Mission Western Sydney, David Allen. Colin spoke of the dedication and support Rita gave to the disadvantaged people in western Sydney and her significant contribution to the Tree of Joy Project run by this Club. Her organizing skill and leadership increased the number of presents sought and the quality of the requests. David, reinforced Colin’s story and told of many more superb qualities that Rita gave to Wesley Mission. 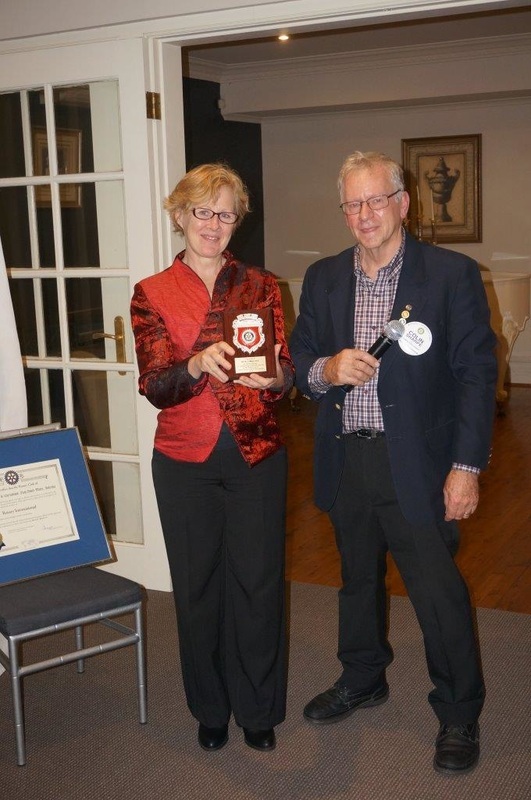 Colin Sharpe then awarded the Pride of Workmanship plaque to Rita. Clive Denmark represented our Club, and the company SMS Waste Services as the Sydney Manager was unable to attend. Clive reminded everyone how cooperatively and helpfully the company had assisted with the waste disposal following both garage sales and book sales for many years past. For the last five years the person at the “coal face” driving the truck and doing the work was Mark Supple. Working to fit in to our needs without complaint we have to say thank you to Mark! Colin then awarded the plaque to Mark and recognized Renee his partner. Carol Russell introduced Ricardo to the meeting. She told of her satisfaction with the service and presentation she had received from the company. She told of Ricardo’s training, the mention of Bugatti, had eyes wide open, and the awards that he had received. The company he owns and runs with Rebecca his wife is Hills Motor Repairs. He describes it as a car maintenance company where the work is undertaken from beginning to end by skilled mechanics. Colin awarded the plaque to Ricardo.